The Cleveland Police Department is starting to equip some of its officers with body cameras in the wake of intense criticism over its use of force against local residents. On Wednesday, police officers in the fourth police district in Cleveland, Ohio began training with the first shipment of 240 body cameras. Officials hope the cameras will help reduce the use of force by police, and lead to less citizen complaints. Officers are being ordered to use the cameras during police stops of pedestrians and motorists involved in a chase, crime or accident, by wearing them on their ballistic vests or outer garments. The remaining body cameras will be distributed over several months to four other police districts to meet a June deadline. 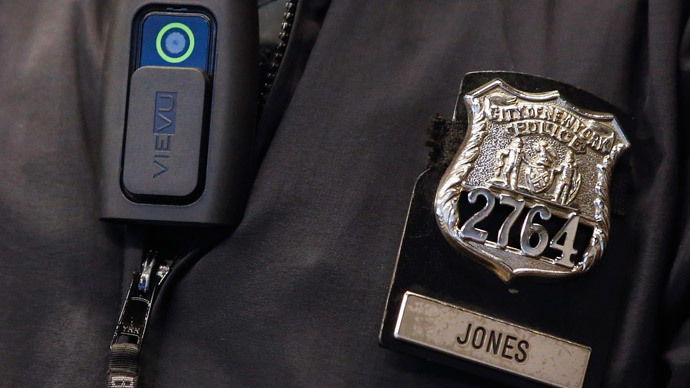 The City of Cleveland has ordered 1,500 body cameras in total, under a $2.4 million program. Police officers will undergo at least two weeks of training with the cameras, according Police Chief Calvin Williams. The cameras automatically record the 30 seconds prior to being turned on, and officers will be responsible for turning on the camera’s recording function when needed. Footage will be uploaded at the end of each shift to EVIDENCE.com, where video clips can be grouped into case files, tracked for chain of custody, accessed from anywhere, and shared with those given security clearance. Footage will be stored for 90 days, and is subject to open record laws, although individuals’ Social Security numbers and birth dates will be redacted and the face of juveniles will be obscured. The move comes amid news that approximately a dozen states have also been considering equipping law enforcement with body cameras, the Washington Post reported. Other initiatives involve targeting the way police report on officer-connected shootings and racial profiling. In Rialto, California – one of the first cities to deploy cameras – there has been an 88 percent drop in complaints, and a 59 percent reduction in excessive force by police. Other cities with police camera programs include New Orleans and San Diego. Pilot programs are underway in cities such as Detroit, Los Angeles, Miami, New York City, and Washington, DC. The Cleveland Police Department has been heavily criticized due to a number of high profile incidents, including the fatal shooting of a 12-year old boy Tamir Rice, who was carrying a toy gun in November. The department was also the focus of a year-and-a-half-long Department of Justice investigation, one that found police officers had engaged in unnecessary use of deadly force – including shootings and head strikes – and used excessive force against people who were mentally ill and in crisis. “An independent monitor will oversee new police reforms in the city to ensure that law enforcement operates appropriately,” US Attorney General Eric Holder said when the report was released in December.